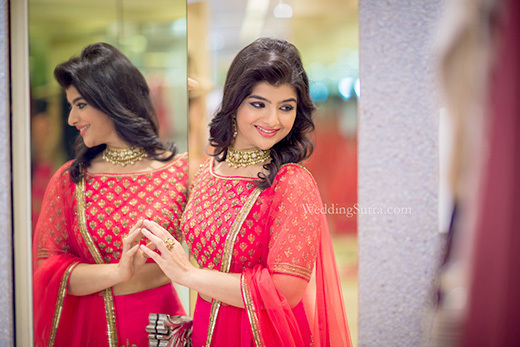 The vibrantly fresh coral red lehenga by Neeta Lulla paired with a contemporary choli option set the back drop for Parita�s bridal makeover with WeddingSutra. 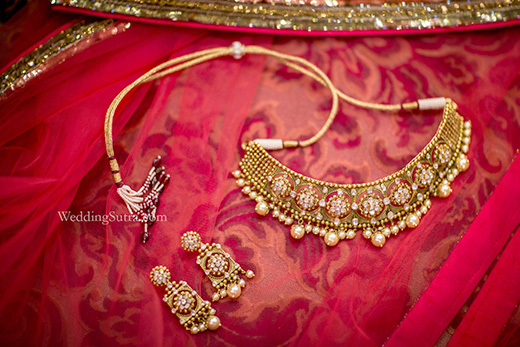 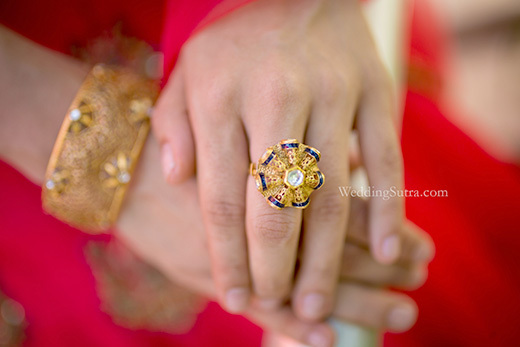 Azva added to the resplendence of her fresh spring wedding look with the latest Diamond Polki collection. 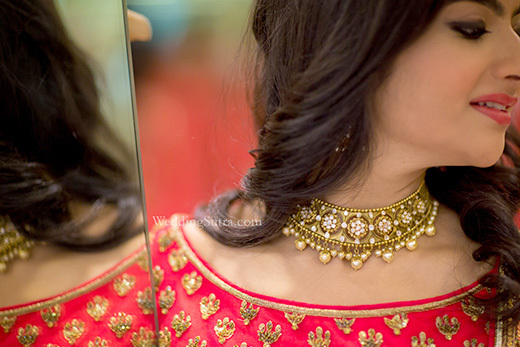 The choker, replete with floral polki clusters embraced her in a modern versatility that the transformation craved. 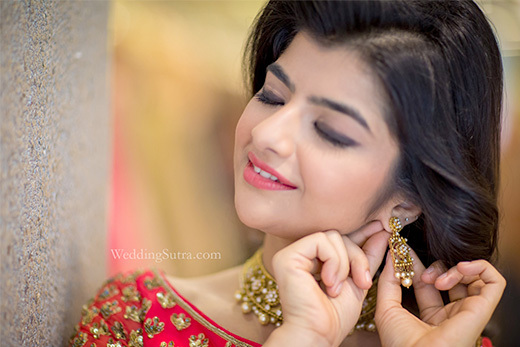 Cascading curls added a yesteryear charm while the hair and make-up brought nuances of cinematic glamour to the look. 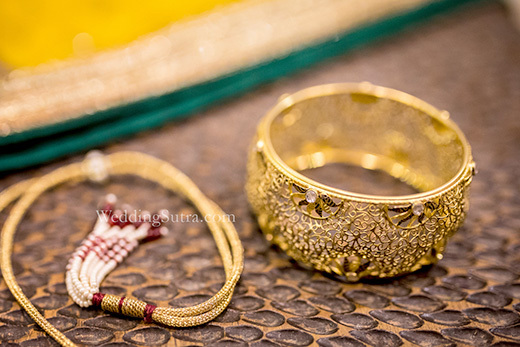 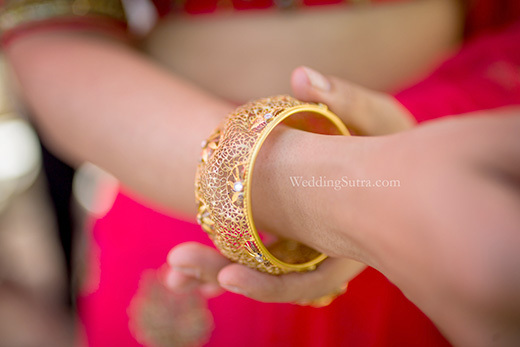 Dainty cuff and a rippling gold ring, both handcrafted with fine lattice and inspired by the seven vows elevated the bridal quotient for a coveted style.